On this day, the 16th Ohio broke camp and marched about fifteen miles up Bayou Teche to Camp Bisland. 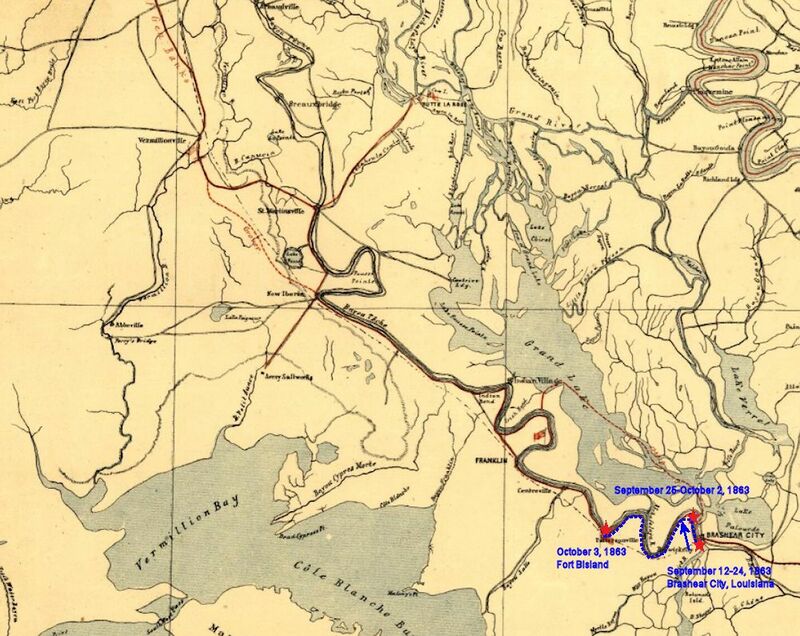 At 6 o'clock a.m. of the 3d we broke camp and marched up the Teche fifteen miles to Camp Brisland. 1863 military map showing the route of the 16th Ohio when it marched from the mouth of Bayou Teche, along the bayou to Fort Bisland, Louisiana, on October 3, 1863. The fort had been taken by Union General Nathaniel Banks in mid-April in the Battle of Fort Bisland. 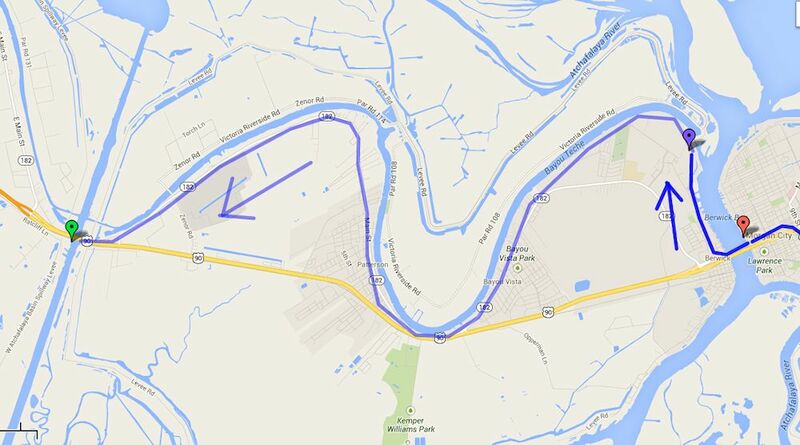 Modern day map showing the approximate route of the 16th Ohio on its march from the mouth of Bayou Teche to Fort Bisland, near modern day Patterson, Louisiana.